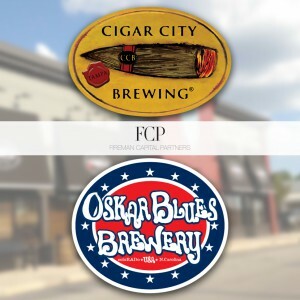 By now we’ve all heard the news that Tampa’s Cigar City Brewery sold a “controlling interest” to Oskar Blues Brewing (or was it Fireman Capital? (or both?)). Whatever the case may be, the fact remains that the Redner family no longer wholly owns their company. 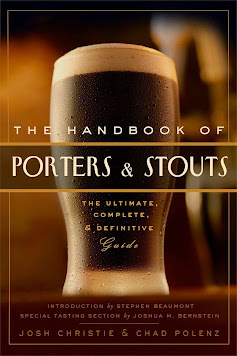 Despite the fact they now have a vested interest in their new holding company and will still have creative and managerial control of CCB, a lot of beer nerds are upset about this news. But it’s not like this is an unprecedented move; in fact, it’s becoming quite the norm. There have been plenty of acquisitions, sales, and mergers in the beer industry recently. For example, last year Heineken bought 50% of Lagunitas; Ballast Point was sold outright to Constellation Brands; and even Founders sold a third of their ownership to a foreign macro brewer. Last month, my favorite brewery – Southern Tier – merged with Victory Brewing to form a collaborative holding company. A lot of these transactions have been in direct response to Anheuser-Busch/InBev (a.k.a. Budweiser) gobbling up craft breweries like Elysian, Golden Road, and Breckenridge. I can’t say I’m surprised this announcement has been met with outrage, delight, and apathy (but mostly outrage). This happens every time a major craft brand sells even a share to a macro brewery or a private equity company (for proof, check the comments sections of any articles or blogs about any of those events mentioned above). What I don’t understand is – why all the hostility? Do beer drinkers seriously expect 100% of all breweries to remain 100% independent for all eternity? Do you have to have an MBA to know the point of a business is to make money? If you could make a bunch more money for doing what you’re already doing (or were going to do), why wouldn’t you take it? Can we please stop equating brewers to starving artists? Brewing is indeed an artform, but it’s a business first and foremost. I don’t begrudge Cigar City for going the route they did. Selling a controlling interest, rather than the entirety of the company, to Fireman Capital is probably the best possible route they could’ve taken. Especially when you consider they came extremely close to being yet another AB/InBev acquisition. I think everyone breathed a collective sigh of relief when that deal fell through. Personally, I would’ve been really upset if CCB had been absorbed by ABI. Why? Because they routinely buy up distributors to create a veritable racket; bully the competition with litigation; and lobby at the state and national levels for ridiculous, stringent regulations that only harm small breweries. This is a company that has no respect for the craft segment – neither the brewers nor the drinkers – as blatantly evidenced by their last two Super Bowl commercials. Those are certainly valid reasons to be outraged when ABI buys a craft brewery and to boycott their products. In the case of CCB, they’ll still be in control of their own destiny. I’m sure they’ll still be able to brew whatever they want, market it however they want, and run the day-to-day operations however they want. I can’t imagine the new ownership is going to make sweeping changes (you’d think all that would’ve been negotiated beforehand). You’ll still be able to get your favorite Cigar City brews in the same bars and stores you’re getting them now. In fact, you’ll probably be able to buy them in even more locations and in more states. This deal gives CCB the money they need to expand since they’re at max capacity right now. It’s pretty much a guarantee they’ll open a satellite brewery somewhere else in the country in the next few years. In fact, they had already been considering building one in North or South Carolina. The quality of the beer isn’t going to change; it’s just that now someone else will get a cut of the profits. It’s not like that money is going to be used for malicious purposes (as it would have been had ABI bought CCB), so what are people complaining about? I hadn't heard, so thanks for the info. CC is one of my favorite breweries and we always bring some back. Actually I am just remembering I brought you over a can of Jai Lai way back when. I do kind of like it when great breweries are regional so you can't get everything everywhere. I love that when I go to Florida I get to have Cigar City brews. BUt I certainly don't have an issue with them cashing in on their successful brand.